We are now recruiting the events and production team for this year’s festival (28th June – 7th July 2019). There are a number of roles available, if you would like to apply please ensure that you have downloaded and read the appropriate Role Description document, then simply follow the application information below. Why this opportunity interests you (up to 300 words). 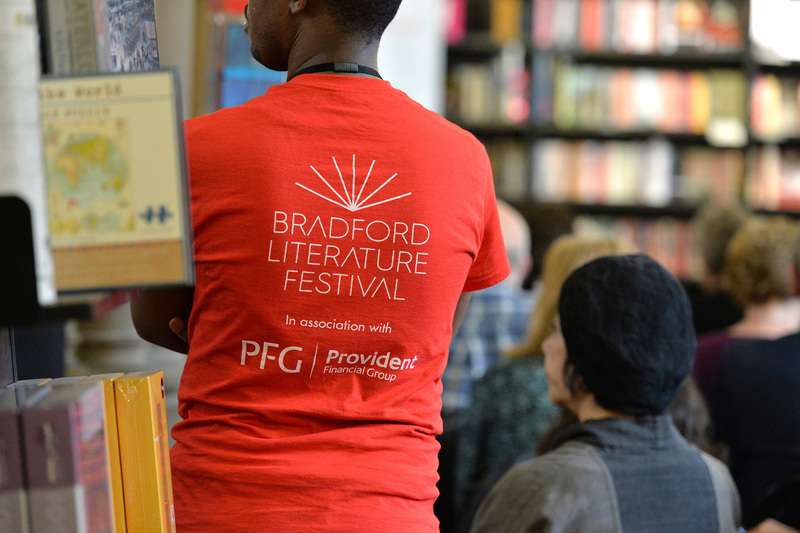 What skills and qualities you can bring to Bradford Literature Festival. Your full contact details (including any relevant web links). When we can best contact you. Names and contact details of 2 referees that will be available to be contacted (at least one must be a recent employer). Please note that given anticipated demand, we can ONLY respond to those we invite for interview. If you have any questions, or require further information prior to submitting your application, please contact jobs@bradfordliteraturefestival.co.uk. Applications should be sent to the same email address with ‘the relevant job title in the subject heading. We are now recruiting volunteers for this year’s festival (28th June – 7th July 2019). If you would like to apply please ensure that you have downloaded and read the Volunteer Role Descriptions document, then simply follow the application information below. Applying to volunteer with us is really simple! Just fill out our Volunteer Application Form by clicking here. Volunteering is a great way to make a real difference. You have the opportunity to meet brilliant like-minded people, gain practical experience to fill in gaps on your CV to and have the chance to give back to the community. And most importantly, you get to have fun!